We have a few returns for these chairs for our faithful chicago furniture customers. $49 each! Great as extra chairs they are probably going to be the most stylish folding chairs you are ever going to own. They go well with the ghost chairs. 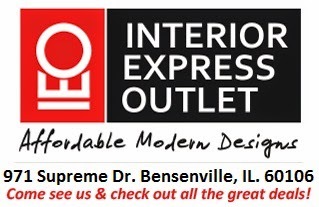 Interior Express Outlet. Picture Window theme. Powered by Blogger.